Email aliases allow you to create email pointers or email redirects. In simple terms an email alias is simply a forwarding email address to another email address. 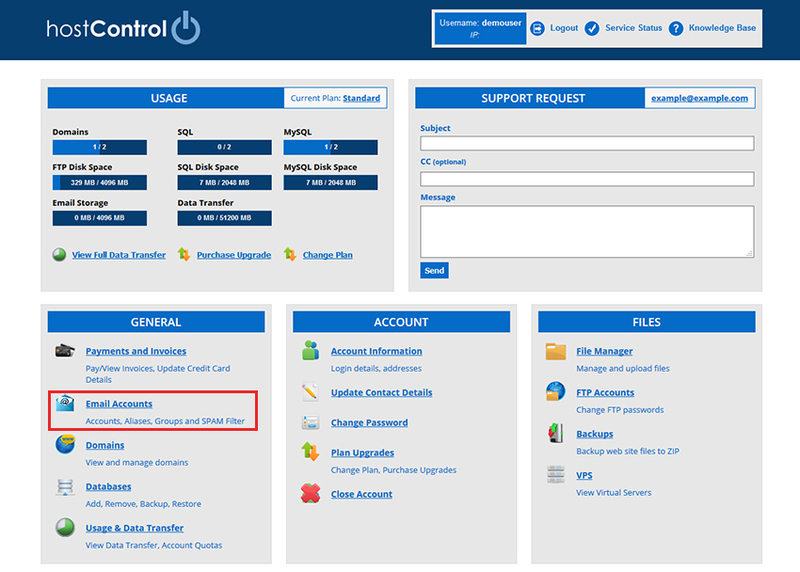 Firstly, log into hostControl and select "Email Accounts" from the menu, underneath the "General" section. Enter the email prefix name for the Email Alias and then enter the destination address for it and select "Create Alias"
In the above example, any emails sent to accounts@example.com will not be forwarded onto example@example.com.